Come and see your Navy at work. 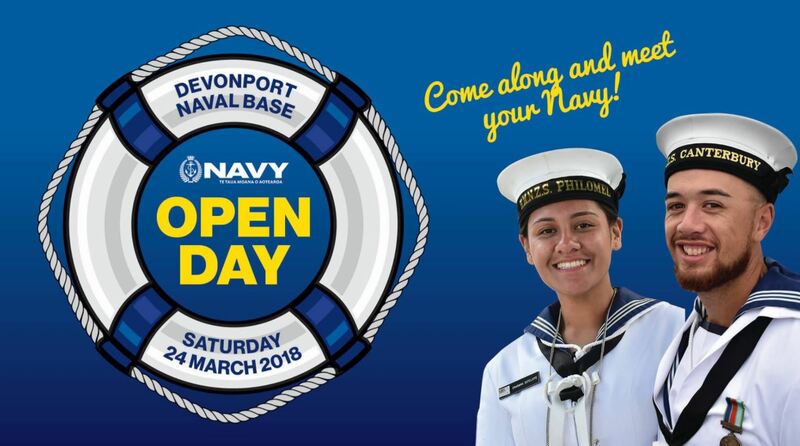 The public are invited to your Navy Open Day at Devonport Naval Base on Saturday 24 March 10am to 4pm. See our ships and the talented and well trained sailors who crew them, the state of the art world-class technology our personnel train on, get close up to one of our SH-2G(I) Seasprite helicopters and see where the Navy works, lives and plays. Enjoy live musical entertainment by The Royal New Zealand Navy Band. Plenty of things for everyone to see, do and eat. Put the date in your diary now and bring the whole family. + Consider public transport – parking is limited. + There will be extra City to Devonport and Stanley Bay return ferry sailings available. + Access will be via the main Queen’s Parade Gate and the Stanley Point Gate with parking available on Ngataringa Bay Sports Field. + For safety, please wear closed toe footwear when embarking on the ships. + Please also bring drinking water. Please note there may be ladders and steep stairs onboard our ships.